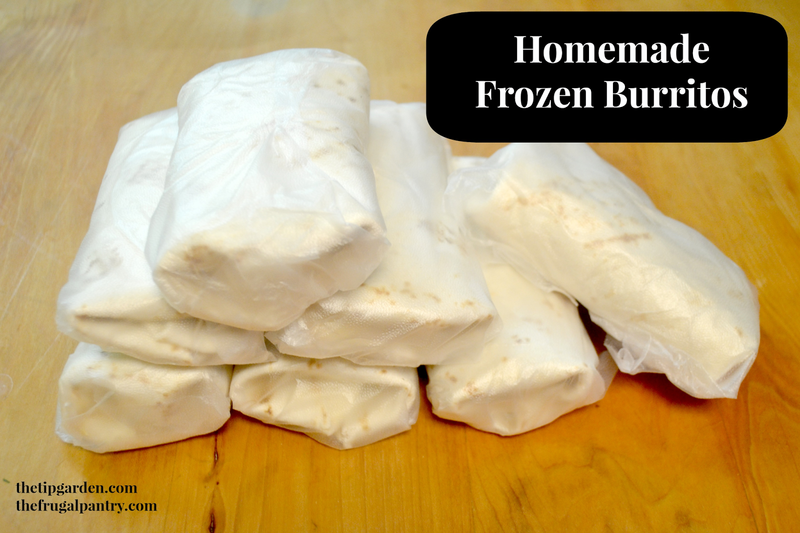 Making your own stash of burritos for the freezer only takes a few minutes. You can have a much healthier version than the store bought, save money, and still enjoy the quick microwave meal when you are on a busy schedule. 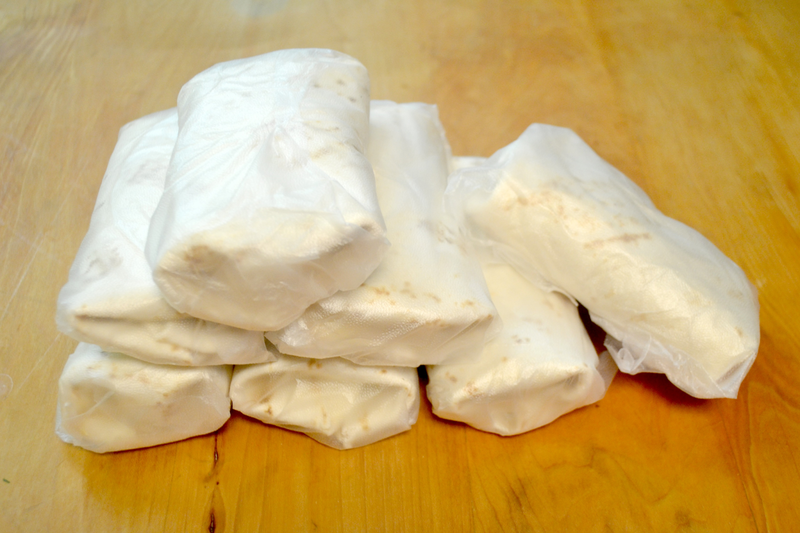 I make them in bulk for my college aged kids to store in their freezer for quick easy meals. 1 lb. hamburger meat seasoned with taco seasoning. 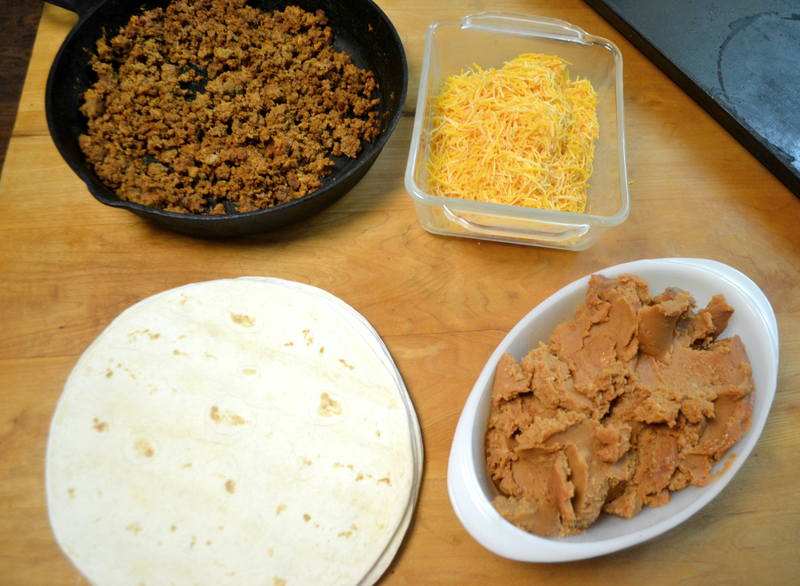 Cook hamburger, drain grease, and season with taco seasoning. Set aside to cool. On each tortilla place approx. 1/4 cup refried beans. 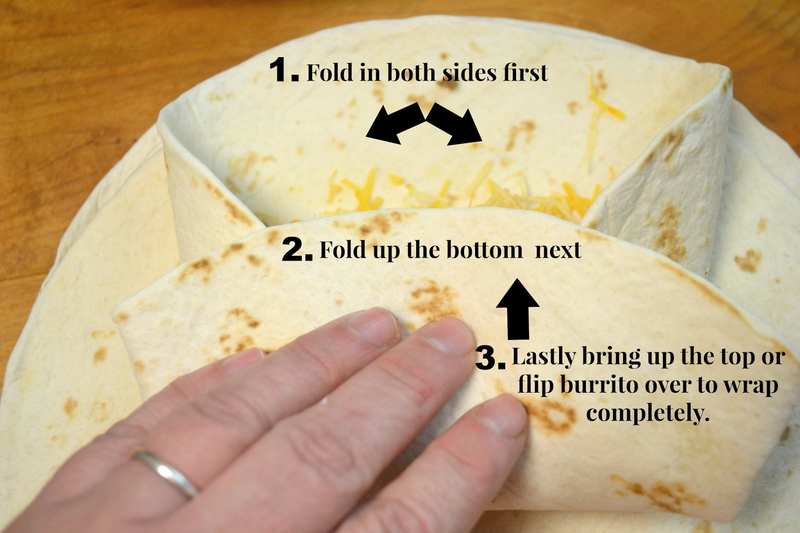 Fold up the top of the tortilla OR flip the wrapped portion over to completely wrap the burrito. Wrap each burrito in air tight wrap. To reheat: if using a microwave safe wrap, open one end of the wrap and microwave 1-2 minutes (Times vary by microwave) till burrito is heated through. 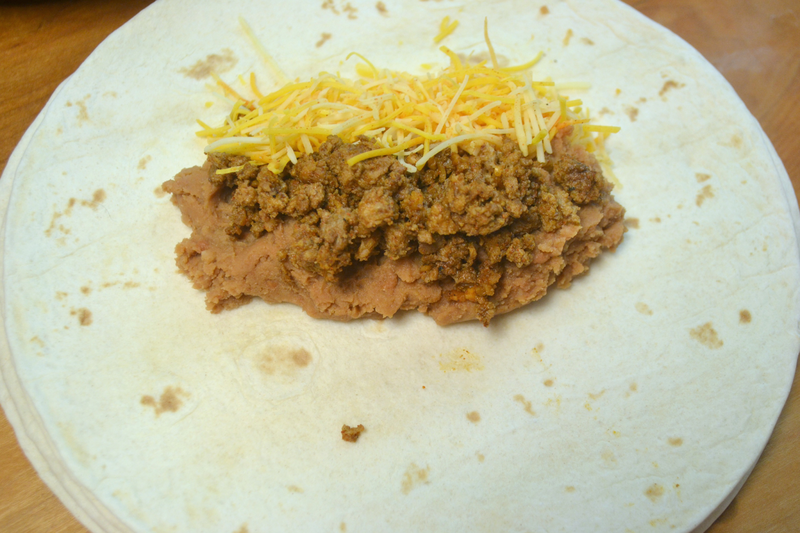 What ingredients do you put in your burritos?